70g of delicious Lindt Milk Chocolate packaged inside a Star or Bell. This is an outstanding custom giveaway item. Our personalised Lindt Treat Box Star Bell gifts are one of our most charming custom confectionery choices which will truly be outstanding on your promotional yuletide campaign! Ensure that you’ve got a lot of these on your year-end parties, conferences, and meetings with the clients to be handed to everyone and for sure, your brand will be a smashing hit. 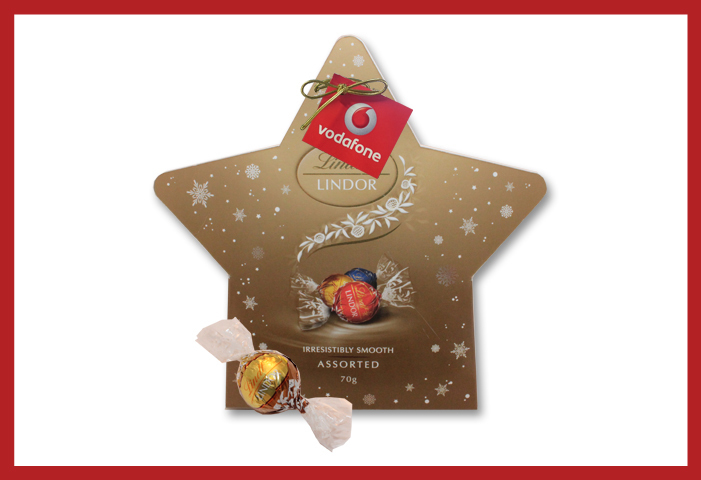 The promotional Lindt Treat Box Star Bell giveaways are available for you to customise through its full colour tag. You may opt to have the star or the bell to carry your label which increases more opportunities on how you wish your brand to be displayed and give that warm Christmas feel. We at Fast Confectionery are certain that any design exhibited on its printable area of 38mm diameter or 50mm(w) x 25mm(h) – be it your logo or message, it will be superbly fantabulous with these lovable delights! Our customised Lindt Treat Box Star Bell is crafted to provide chocolates that would bring bliss to any person that would taste them. Each of these succulence has been thoughtfully selected, and attractively arranged to share that impeccable Lindt experience to all. Let these heaps of masterpieces be just the perfect gifts to be shared to everyone. 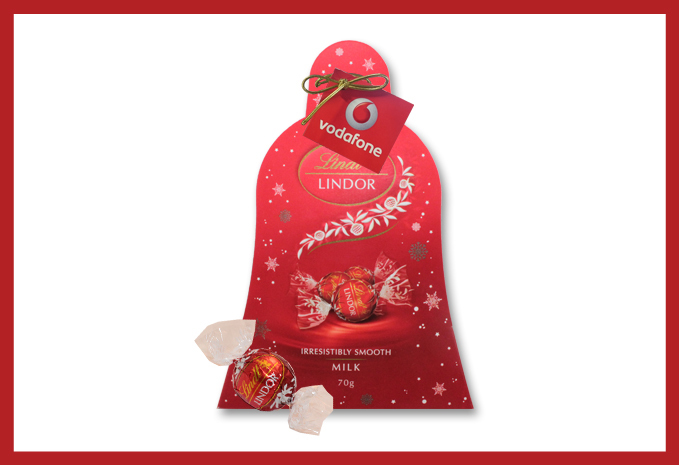 You can also try our Lindt Treat Box Chocolate Snowball and Lindt Treat Box Peppermint Tree – equally exquisite and outstanding add-ons to our personalised Lindt Treat Box Star Bell creations. 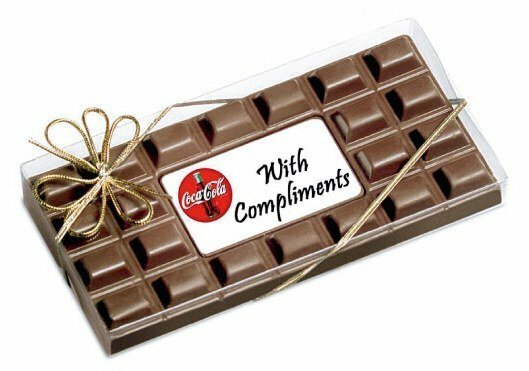 They are sure to make an impact this holiday season because of their luscious and rich taste! We wouldn’t want you to miss out on making your brand stand out which is why we would like to present to you our line of head gears from Fast Caps! Our Downforce Cap will be spot on for your promotion. Cost-effective and cool, these are the perfect custom wearables for you! We are happy to hear from you. Dial 1300 008 300 to talk to us, or chat with us via live chat using the message box below. 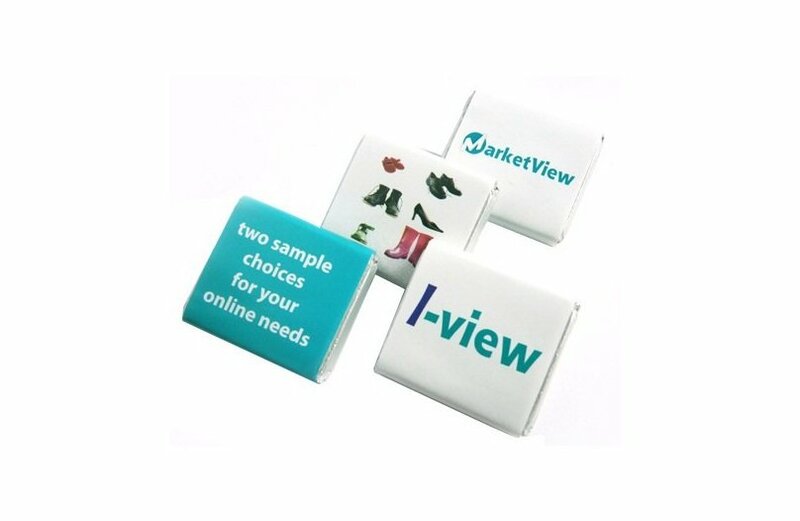 We are excited to assist you on your Christmas promotional giveaways!